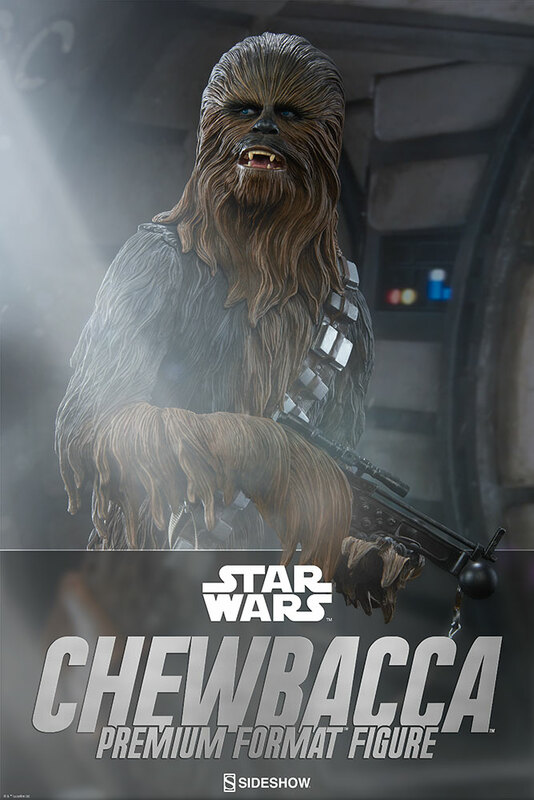 There’s an upcoming Star Wars: The Force Awakens – Chewbacca Premium Format Figure by Sideshow Collectibles. 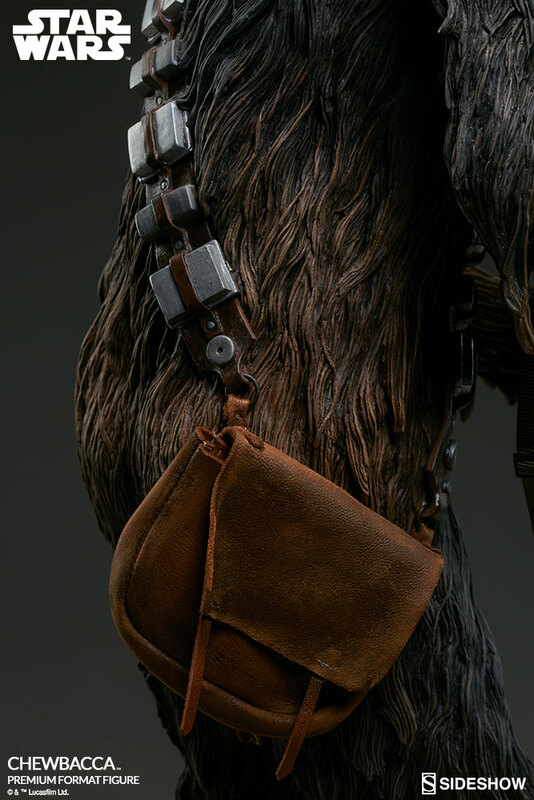 They have released photos and details. 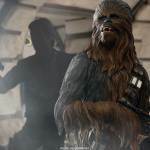 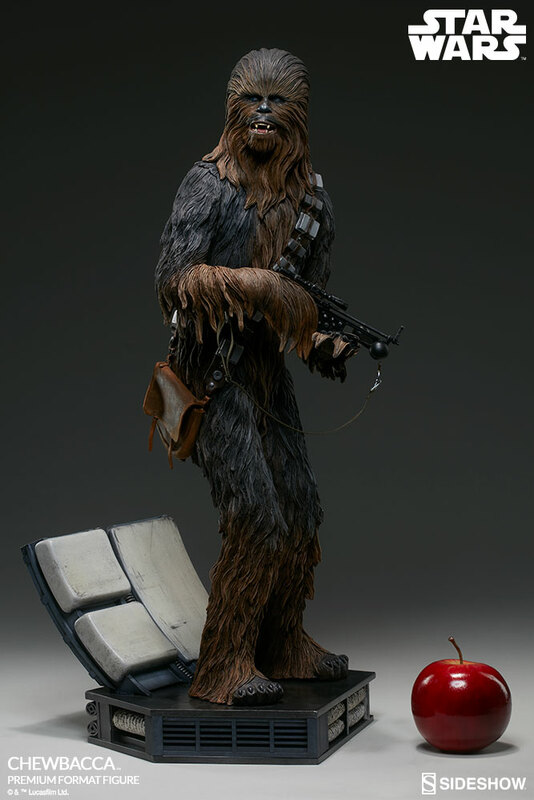 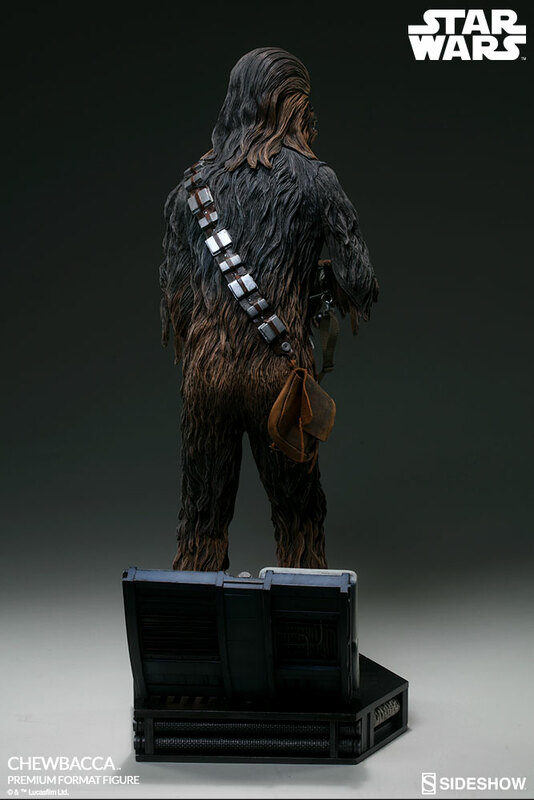 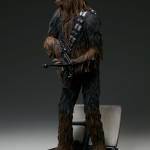 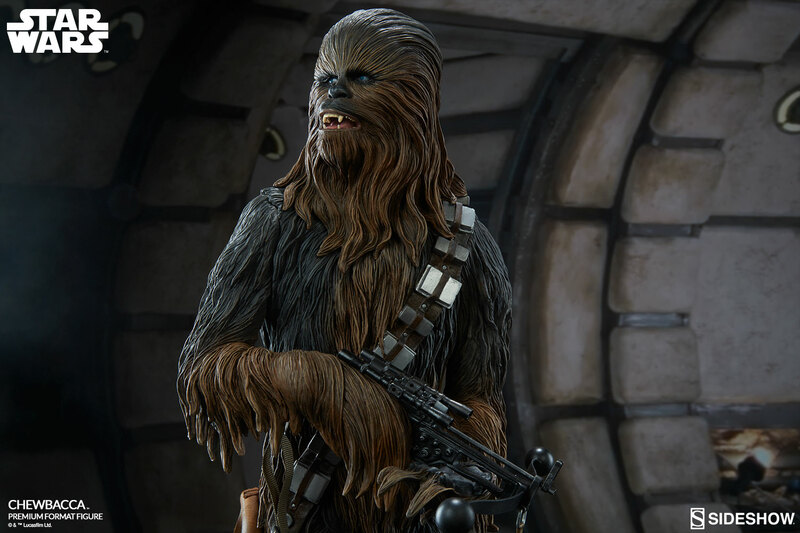 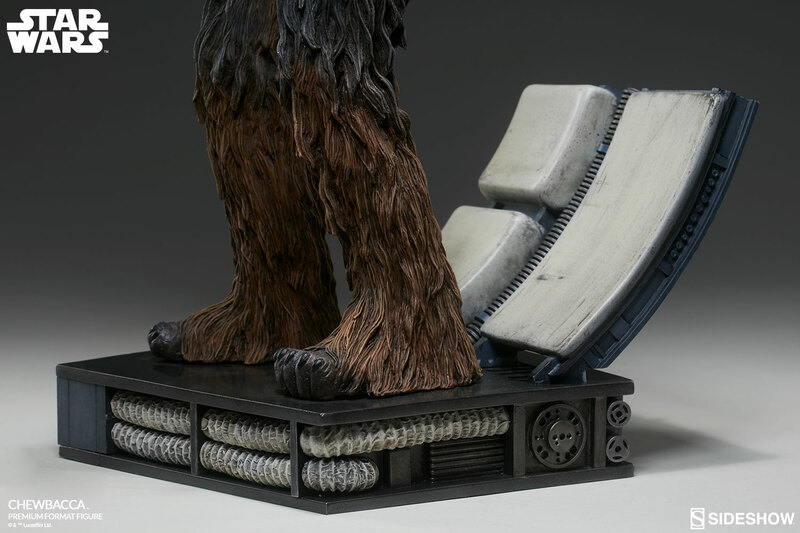 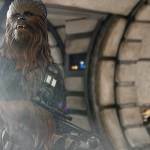 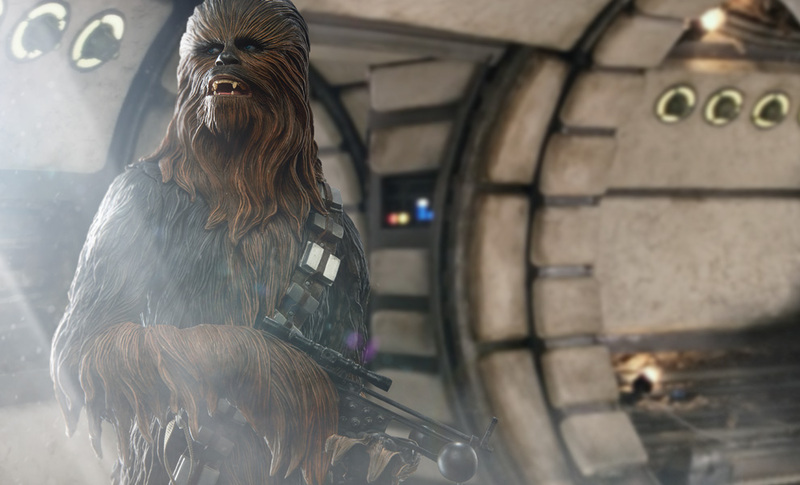 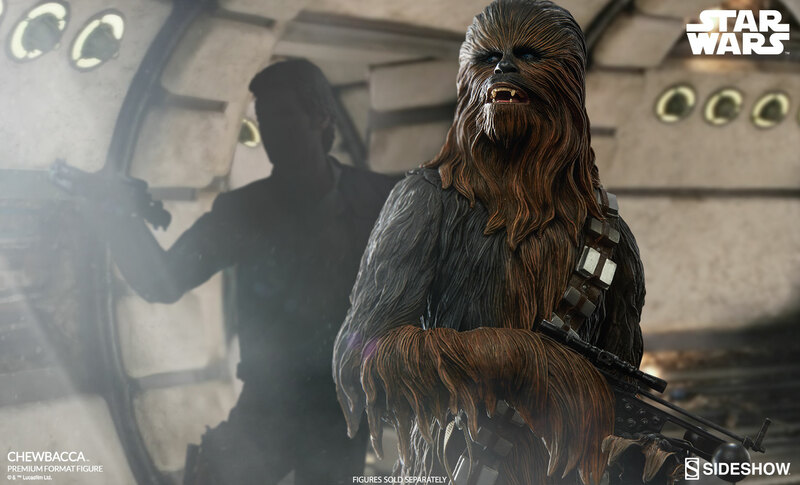 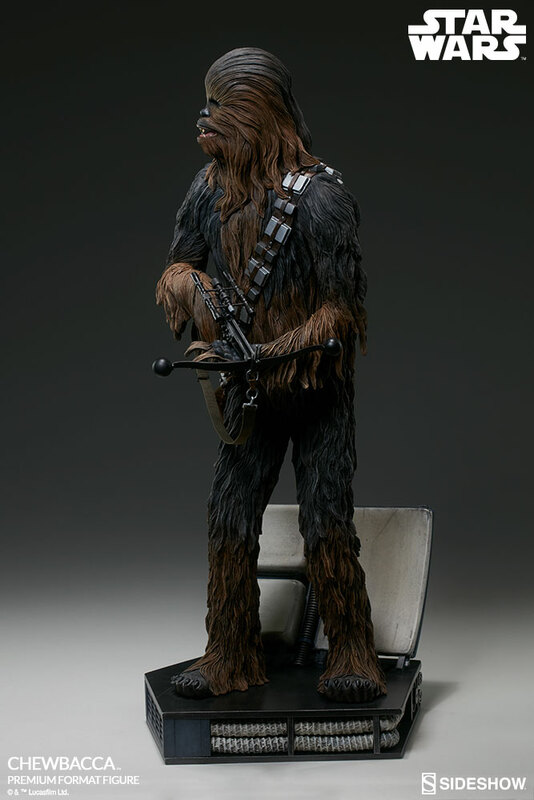 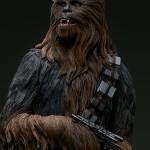 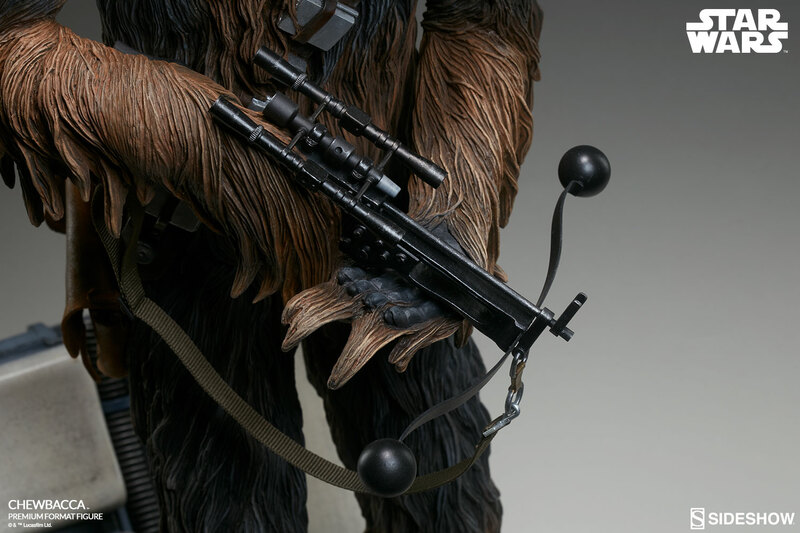 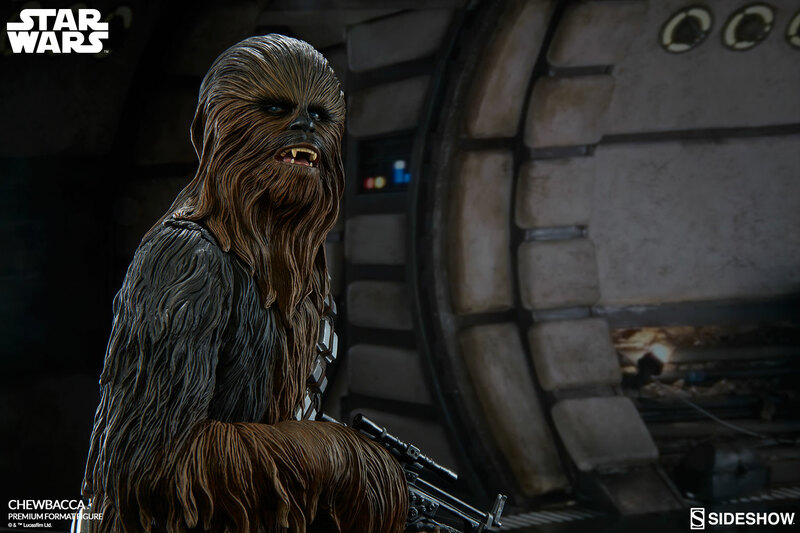 Chewbacca stands over 23″ tall on a Millennium Falcon themed statue base, carrying his trademark Bowcaster. 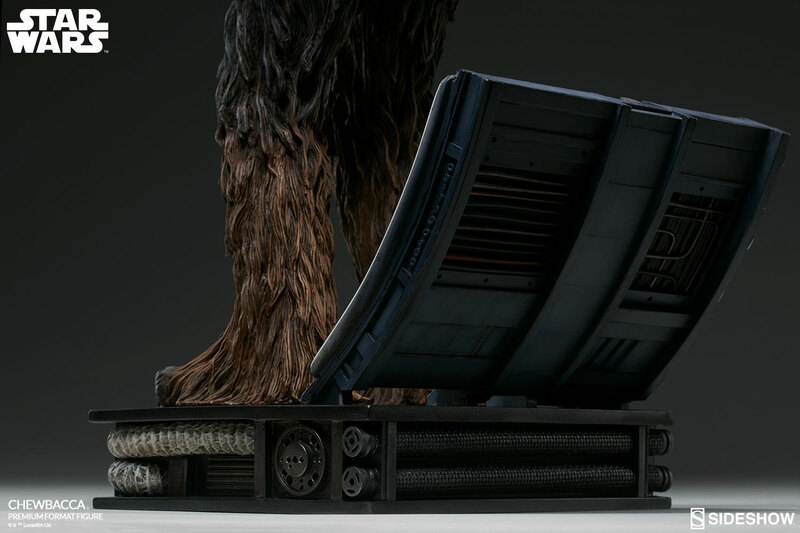 Pre-orders go live on April 6th at a price of $499.99. 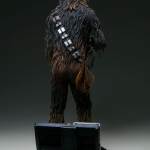 Check out some details below and all of the photos after the jump. 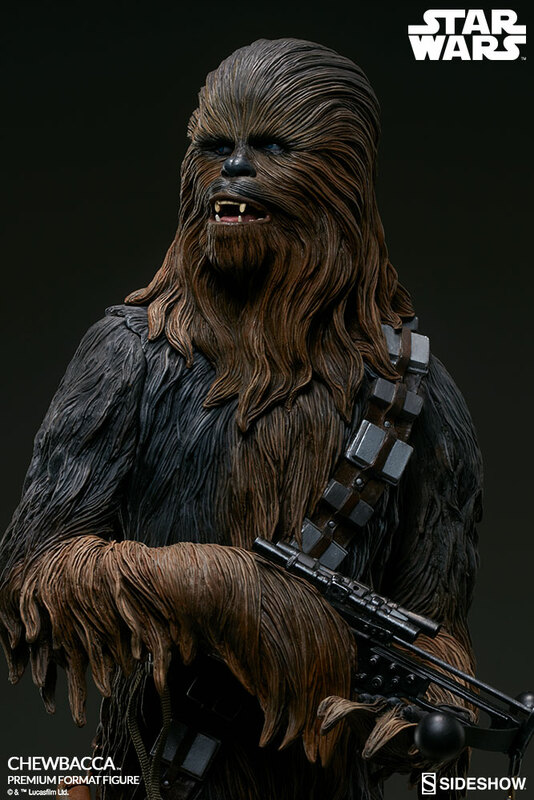 Sideshow is honored to introduce an all new Premium Format™ Figure of everyone’s favorite Wookiee™ – the mighty Chewbacca™! 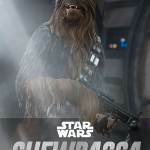 Smuggler, Warrior, Resistance Fighter, Chewbacca’s name has become synonymous with bravery, loyalty and strength in opposition of the Empire. 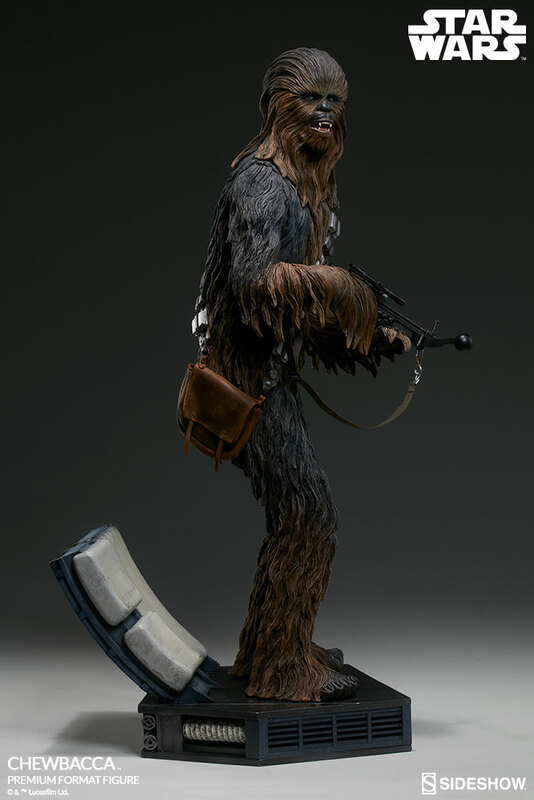 A veteran of the Clone Wars, the Galactic Civil War and the further ensuing conflicts with the First Order, he is a skilled fighter, expert pilot and much-cherished member of the Resistance. 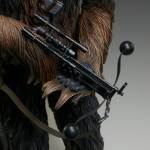 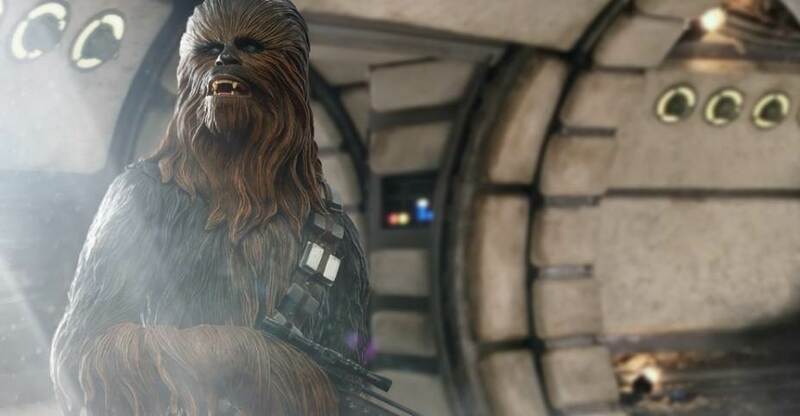 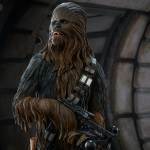 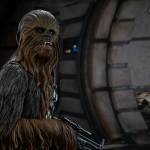 Towering over both friend and foe alike, Chewbacca is a stalwart companion and trusted friend, or…if you are a member of the Empire…your worst nightmare! 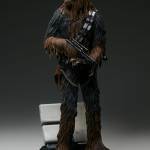 As the co-pilot of the Millenium Falcon, and loyal sidekick to Han Solo™, this heroic Wookiee is a much-loved character in the Star Wars™ universe, and when we stepped up to create our own collectible statue of Chewbacca it wasn’t a task we took lightly! 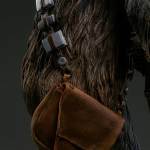 Every inch of this limited edition museum-quality collectible, from his intricately sculpted fur to his painstakingly reproduced miniature leather-effect satchel, is so detailed that it simply has to be seen “in the flesh” to be truly appreciated. 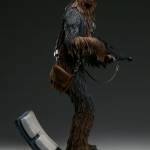 Standing over 23” tall, Chewie is displayed on a highly detailed and movie accurate Falcon-themed character base, clutching his trusty Bowcaster, and ready to spring into action! 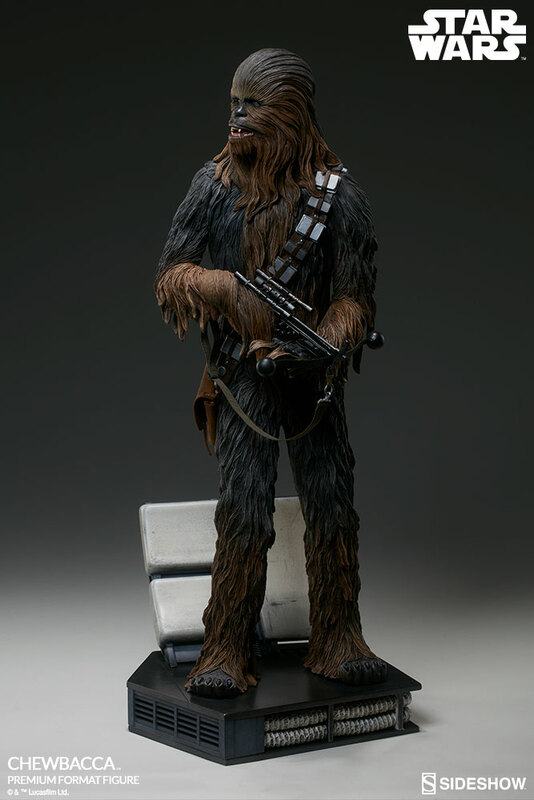 Whether displayed alongside other characters from our ever-expanding range of Star Wars Premium Format™ Figures, or on his own as a stand-alone piece of movie memorabilia, Chewbacca is a must-have for any collector!